Although our Championship game against Falkirk scheduled for yesterday was postponed the players weren't idel as Manager Gary Naysmith arranged a closed doors match against Hearts. 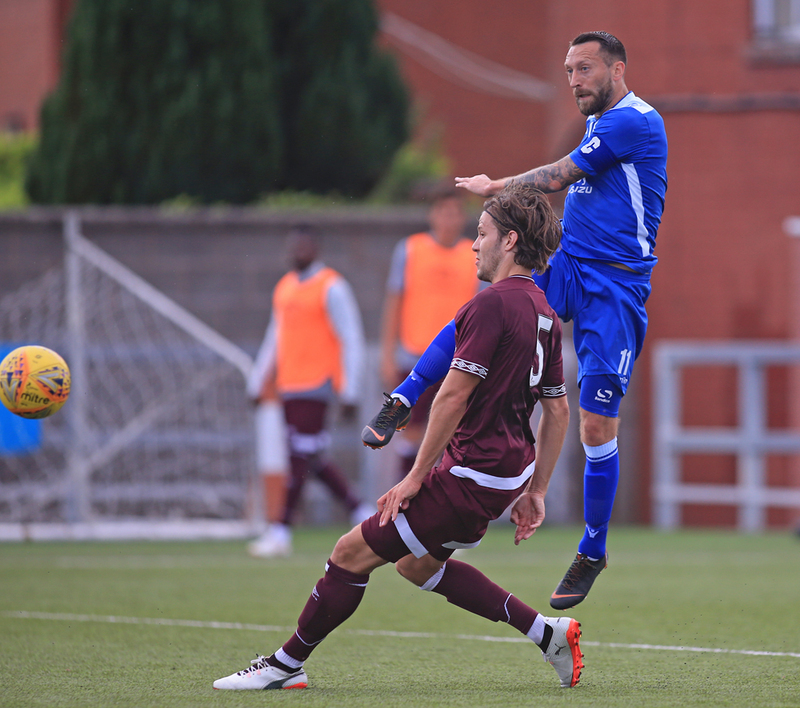 Stephen Dobbie scored both goals in a two - one victory against a strong Hearts side who over the two halves fielded 14 first team regulars. Queens were without Callum Fordyce and Nicky Low through injury, Lyndon Dykes due to illness and Iain Wilson and Barry Maguire who are away on International duty. Congratulations to the latter who made his debut for Scotland Under 21s in their goal-less draw against Mexico. As well as a positive result, Josh Todd made his comeback and played for an hour and Ian McGrath did well. We also played the last fifteen minutes of the game with four of our U20s in the eleven, which proved to be great experience for them.